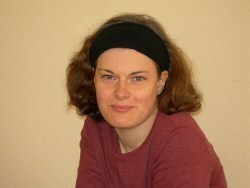 Amber Reed is a newspaper admin assistant tasked with making up the horoscopes. Her imaginary predictions seem as close as she'll ever get to excitement. Until a desperate phone call plunges her into the middle of a celebrity murder investigation. Battling to convince the scarily handsome special agent assigned to solve the case that she can help him catch the killer, Amber's fighting something far more dangerous than she could ever have imagined - and it has nothing to do with the equally scary chemistry fizzing between her and special agent Charlie Huxton! Has Amber's wish for more excitement in her life landed her in big trouble - or is her fate written in the stars? If you enjoy reading fun and flirty intriguing mysteries then you'll love the Amber Reed Mystery series. A murdered pop star. A mysterious island. A life changing secret about to be uncovered. Who would want to murder pop star Flynn Garrison? That's exactly what Amber Reed needs to find out. As the lowly support officer and newest recruit at the Celebrity Crimes Investigation Agency's (CCIA), she has a lot to prove. She's desperate to get to grips with her first assignment and show that she's up to the job with the elite agency who specialize in solving crimes for the rich and famous, but there's a lot at stake… and it's not only her new career that's on the line. Is mixing business and pleasure ever a good idea? Will her relationship with CCIA special agent Charlie survive the challenge of the two of them working together? And then there's the added complication of agent extraordinaire Martha, a man-eating goddess, also assigned to this investigation, who clearly has designs on Charlie. Working on the case leads Amber to a glamorous red carpet film premiere, learning to dance at a party in a grand country house - and the distinct possibility of becoming the murderer's next victim. Can Amber manage to catch the killer, solve the case, stay alive and still keep her relationship with Charlie on track? Grab your copy today and join Amber on an action-packed, romance filled amateur sleuth adventure. A movie star stalker. A mountain ski lodge dripping in luxury. A moment that changes everything. Stalkers, shootings and sassy special agents. All part of being famous, right? Well, they are for Oscar-winning actress Amelia Kingston when she starts getting deeply disturbing and threatening notes left by a stalker. 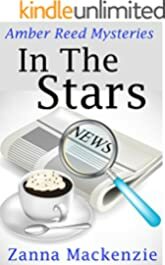 When her boyfriend Ty is shot she calls in the Celebrity Crimes Investigation Agency (CCIA) the elite agency who specialize in solving crimes for the rich and famous. The CCIA send new recruit Amber Reed and her rather handsome special agent partner Charlie undercover to Amelia's luxury mountain chalet to investigate. Circumstances force the agency to pull Charlie off the case, meaning Amber has a new crime-fighting partner to try and catch the stalker with – and he's trouble with a capital T! 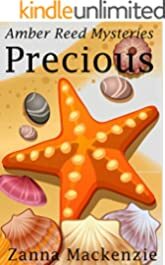 He throws Amber's life into chaos, making her question herself and her abilities as well as her relationship with Charlie. Can the two of them manage to pull together and stop the stalker before anyone else gets shot? 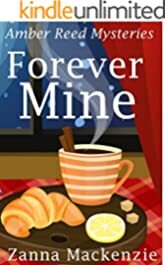 If you enjoy fun and flirty mysteries, join Amber on a slippery ski slope of a sleuthing adventure in Forever Mine! Murder. Mystery. Mayhem.The only thing worse than battling to solve the murder of three soap stars, is being forced to work with your ex to crack the case! One soap star death is a tragedy, but three all in the same week, that's a case for the CCIA – otherwise known as the Celebrity Crimes Investigation Agency. 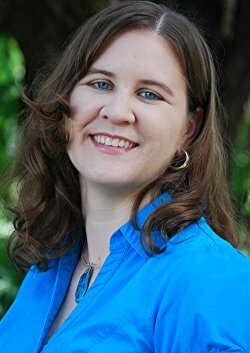 Amber Reed, the agency's newest support officer, is sleuthing again! This time she's sent to Vancouver, Canada's answer to Hollywood, where soap opera North Shores is filmed. She needs to track down who is targeting and killing the show's stars – and fast. Alongside her, making up the rest of the CCIA team for this high profile case, are man-eater and troublemaker Martha, agency bad boy Dan and Amber's kind-of-ex-boyfriend, special agent Charlie. Can they catch the killer before another star is murdered? Will Charlie and Amber kiss and make up or is it over between them, this time for good? Will sworn enemies Charlie and Dan manage to resist gunning for each other? The team need to find a way to set aside their differences and focus on the investigation because this time there's not just one murder case to solve but three! 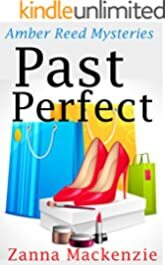 If you love fun and flirty romantic mysteries like Gemma Halliday's High Heel Mystery series, then you'll love Past Perfect. Grab your copy today and join Amber as she battles love, lies and loyalty to catch the bad guys! Amber's back in another humorous romantic mystery. This time it's a case of music, mayhem and murder! The Rosemont Music Festival is packed with thousands of partying people, all of whom could be in danger if Amber doesn't find who has it in for one of the festival's top acts – the pop star Prima Donna. Kidnappings, murder attempts, death threats, theft and arson – they're all in a day's work for Amber when she's working on a case. Unfortunately, in this instance, Prima Donna has been such a bad girl that there's a pretty hefty list of people who might be tempted to stop her taking to the stage and performing – for good! 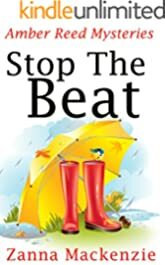 Grab your copy of Stop The Beat and join Amber on another fun sleuthing adventure! Desperate for some rest and relaxation following her weeks of rigorous special agent boot camp training, Amber heads for the Caribbean for the wedding of Ennis (her old university boyfriend and now a movie heartthrob) and his fiancée Siobhan. 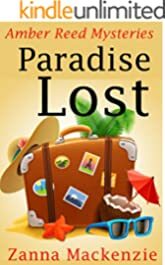 The island paradise soon turns into a nightmare though when she reaches the Five Palms Resort to discover the resort's yoga teacher to the stars has been murdered in the spa pavilion – and Siobhan, the bride-to-be, is a suspect. Then a distraught Ennis and Siobhan find out their best man, the famous actor TJ Wilkinson, has gone missing at the airport, possibly kidnapped! It looks as though Amber's chances of chilling out on holiday now are less than zero. Begged by Ennis and Siobhan to track down the best man and to clear Siobhan's name, Amber prepares to tackle her very first solo sleuthing mission but then she gets the surprise of her life when she finds out she has a very willing crime investigation partner staying right in the resort. 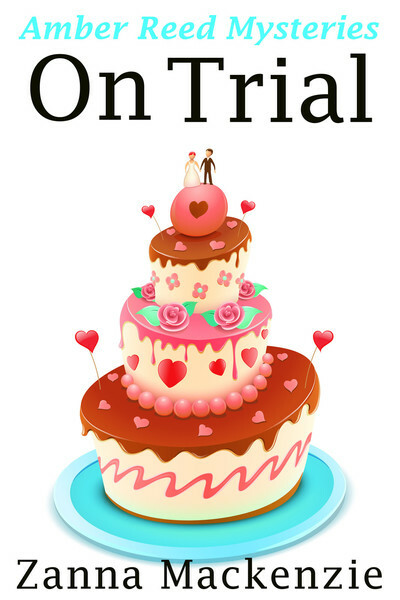 With a hurricane lurking out to sea and threatening the island, an inept local police department eager to pin the murder on Siobhan and lots of mysterious goings-on all over the place, Amber's soon battling to keep the wedding on track, crack the case and save the bride-to-be from spending her Big Day in jail!